Have you ever been going about your business when suddenly—seemingly out of nowhere—you are reminded of a specific person? It sometimes is someone close to you, but other times it can be an old friend you’ve lost touch with entirely or a former lover that you parted ways with years ago. Sometimes these feelings urge you to check up on that person, to see how they’re doing and make sure they are ok. And while these impulses and thoughts may feel arbitrary, like they popped up out of nowhere, there’s a good chance a psychic moment of clairsentience has taken place. Clairsentience is the ability to perceive energy and tap into the emotional states of other beings, particularly to those that we are or have once been strongly connected to. And while some people have refined this ability and know how to control it, many people have this gift of heightened empathy and catch onto other energies and auras without even realizing it. The remarkable thing about clairsentience is that it can allow you to pick up on the energies of people you pass on the street and well as people hundreds of miles away. So when you feel that pang of memory and longing to connect with someone, lean into it. Allow yourself to experience the connection, because there’s a good chance that person is also feeling the same way about you too. Here are a few psychic indicators that someone is thinking about you. Say you’re at work, trying to finish up a big presentation and totally engrossed in what you’re doing when out of nowhere you feel a strong sensation of sadness. Or you’re at a party with your best friends, dancing and having a great time when suddenly a feeling of fear creeps up in your mind and your gut. If these feelings cannot be associated with any immediate source—such as a recent loss of a relative—there’s a good chance someone, somewhere is thinking about you. This type of experience is proof that it really does matter what sort of energy you put out into the world and direct at individual people. 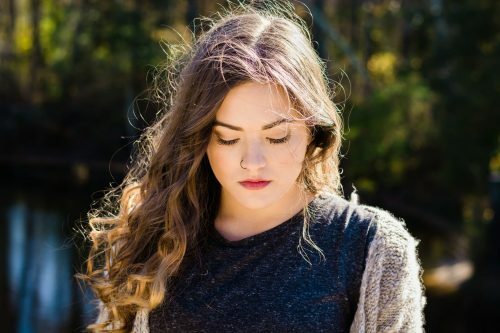 Perhaps if you suddenly experience strong feelings of sadness, there is a person out there wishing they were still in your life and feeling incredibly heartbroken that you’ve become estranged. Even if it’s not intentional, that sort of strong, focused energy has the potential to travel many miles and be perceived, suddenly, by the recipient. When this sort of situation occurs, allow yourself to be engulfed by the random emotion and—if thoughts of a specific person come into focus in your mind—that could be the very person whose thoughts you are in. When a strong itch develops quickly in one of your eyes or you begin to feel small uncontrollable twitches, it is very likely that you are on someone’s mind. 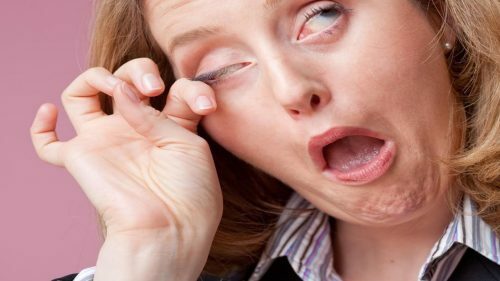 When this occurs, first make sure there is no physical reason for the irritation of your eye, such as an eyelash falling in your eye and causing the pain. If these outside factors are ruled out, there’s a good chance you’re picking up on a psychic sign. There are various theories about what this type of itch in your eye can mean in the psychic community. The most widely believed and proven is that sensations in each eye mean a different thing. For men, unpleasant sensations in the right eye imply that someone is thinking or speaking highly of you somewhere, while itching in the left eye can mean that someone is wishing you ill-will or expressing their frustrations about you. For women, the meanings associated with each are the opposite. 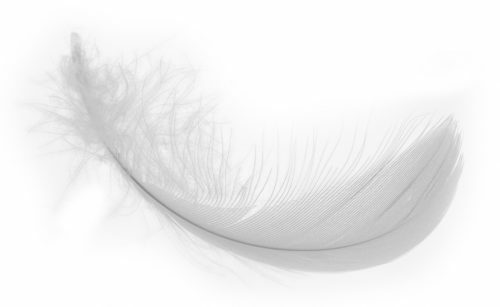 White feathers are one of the psychic world’s most iconic, identifiable signs. When one is present, it suggests to the person who finds it that someone they lost—someone who has passed on to the next life—is thinking about them and sending them love. White feathers serve as a connection between this reality and the other worlds. And while this type of signal does not allow you to pick up the phone and call the person who is thinking about you, there are ways of fostering continued connection to the departed person. Think about what their favorite hobby was or what cause they truly cared about, and allow those things to inspire and propel you forward in your own life. By doing so, you are honoring the life of the departed person and may even continue to find white feathers as signs of their gratitude and love.